Tinnitus is the perception of sound in the absence of an external auditory stimulus. In other words, you are hearing sounds that are not there. Typically it presents as ringing in the ears. Tinnitus may be anything from a soft whistle to a loud whine. The ringing or sound may either be intermittent or continual in presence and is actually a rather common subjective complaint. Tinnitus also causes loss of effective hearing. While many learn to ignore and compensate for the phantom sounds, quality of life can be seriously impacted in many patients. Tinnitus has been shown to be associated with sleeping disorders, depression and anxiety. It may affect concentration and the ability for attentional focusing and working memory and is a condition difficult to treat. How is Testing for Tinnitus Done? Tinnitus Assessment is performed using a variety of test signals from pure tones to narrowband and white noises. Typically an ear, nose and throat doctor (ENT) is the type of physician that diagnoses treats tinnitus. ENTs (formerly known as otolaryngologists) specialize in medical conditions involving or relating to the ears, noses / sinuses, mouth and throat. There are certain ENTs that focuses specifically on the ears and treatment of hearing problems such as tinnitus. The most common cause of tinnitus is excessive high-level noise exposure. Employees who work in construction, production lines, automobile assembly lines, and the military are at risk. Military and police thought they had the problem covered with acoustic earmuffs in their training programs in firing chambers to avoid that noise exposure. But it turns out that some of these noise blockers were defectively built with a design flaw which has led to a number of Tinnitus-related lawsuits involving the Combat Arms Ear Plugs. Tinnitus can also be caused by random noise exposures like a siren, railroad engine whistle, motorcycles, loud equipment, and firearms. Victims of traumatic brain injuries are also at great risk for Tinnitus. There are also cases of late onset of tinnitus that have confused healthcare providers. The working theory is that tinnitus in these cases is secondary to the muscular postures patients may utilize to avoid neck pain after whiplash or other neck injury, usually after a motor vehicle accident. Approximately 15% of individuals with a history of whiplash develop tinnitus and one or more of the following symptoms: vertigo, headache, instability, and nausea, and hearing loss. It doesn't take a major impact to get tinnitus as a result of a car accident. You do not even need any contact with the head. The mechanical shearing of the head back can impact the inner ear and cause tinnitus. The inner hair cells are analogous to vertical spaghetti stalks. They are fragile and if you shear your hand through those stalks, they can fragment in all different layers. The time a patient struggles with tinnitus can vary from a few days to a lifetime. Hearing and labyrinthine dysfunction sometime travel with tinnitus, particularly when it is a consequence of head injuries due to damage to the auditory nerve, the cochlea, or middle ear conducting. How Much are Tinnitus Injury Claims Worth? Most personal injury claims for tinnitus arise in car accident cases. The average value range of a claim based on tinnitus or hearing loss in an auto tort case seems to be $50,000 to $250,000. The average value of a tinnitus or hearing loss claim in a product liability (like the Combat Arms litigation we talked about above), premises liability or malpractice case will likely be higher. Below are a number of recent verdicts and reported settlements for auto tort cases in which the primary injury was tinnitus or hearing loss. Gabbert v Caldwell (Texas 2018) $361,700: home health nurse in her early 30s is driving home from work when she gets rear-ended by defendant's vehicle at an intersection. She incurs over $20k in medical expenses in connection with the accident and alleges that she now requires hearing aids to compensate for permanent tinnitus resulting from the collision. She rejects a settlement offer from Allstate for $20k and after a 2 day trial the jury awards damages totaling $361,700 which includes $20,700 for past medical expenses and $25,000 for the future cost of her hearing aids. Lang v Thornton (Washington 2018) $50,000: 49-year-old nursing student is injured in t-bone accident caused by the defendant. Plaintiff claims that the accident caused damage to her ear resulting in permanent tinnitus. The case settled for $50,000 which was the available policy limit in the case. Lee v Stearns (Washington 2018) $350,000: retired 62-pedestrian is hit by defendant's vehicle at an intersection in Seattle. She suffers a number of physical injuries including C5-6 disc herniation with cervical radiculopathy. 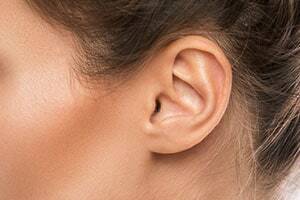 She also claims to have developed ringing in her ears and is diagnosed with tinnitus and vertigo by an otologist. The case eventually settles for policy limits of $350,000 which includes only $34,500 in medical expenses. Shaw v Trunkey-King (Idaho 2017) $100,000: nursing school student in her mid-20s is driving her daughter to daycare when she gets t-boned by defendant at a 4-way intersection. She claims that the accident leaves here with permanent tinnitus in her left ear which delays her graduation from nursing school. Case settles for policy limits of $100,000. Halverson v Brown (Oregon 2017) $100,000: plaintiff is riding his bicycle through a busy intersection in Portland. He proceeds through the intersection at the crosswalk when the light turns green and defendant fails to yield and hits him. Plaintiff gets thrown onto the windshield of defendant's vehicle and suffers facial and head injuries. Plaintiff alleges, among other things, that he suffered permanent tinnitus as a result of the accident. Initial settlement demand is $170,000 and the case ultimately settles for $100,000. If you have suffered tinnitus or hearing loss as a result of an accident the personal injury attorneys at Miller & Zois can help you get financial compensation. Call us today at 800-553-8082 or get a free online consultation.